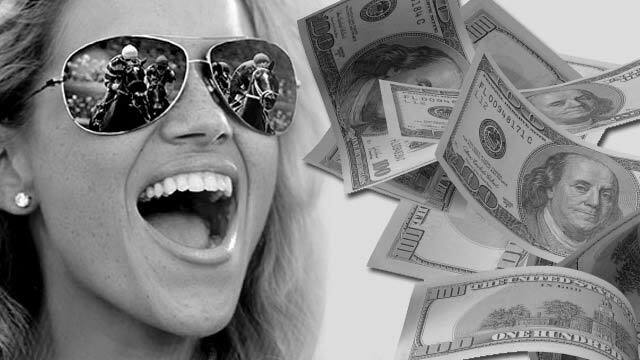 FREE funds transfers between your OTB wagering account and your bank account. E-Checks are a FREE and easy service for depositing funds to and withdrawing funds from your OTB wagering account. Electronic Check Deposits are a bank industry standard method of transmitting funds safely and securely, directly from your bank checking or savings account. Some transactions can be completed in as little as an hour. Complete the form and specify an amount you wish to deposit between $25 and $100. Return the E-Check (ACH) Authorization Form along with a voided Check. Already set up with E-Checks (ACH)? 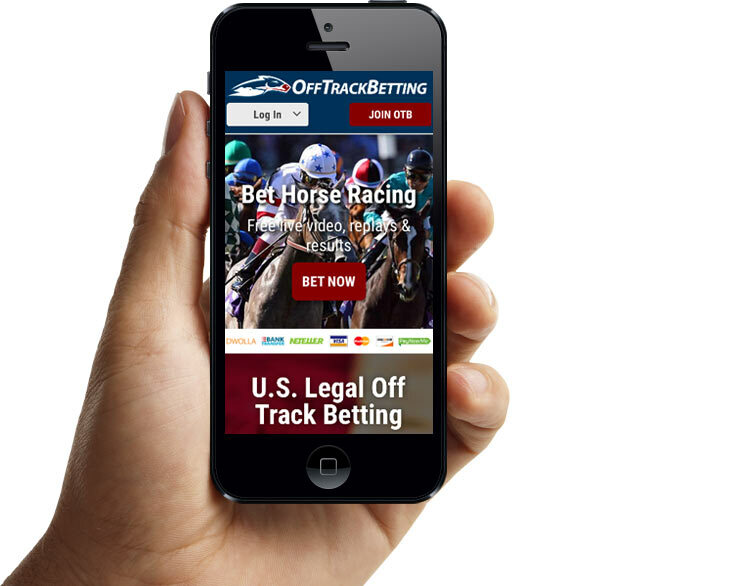 Simply click here to email your deposit request to support@OffTrackBetting.com. Last 4 SSN (for security) DO NOT include your full Social Security Number in an email! The Automated Clearing House or ACH network is a highly reliable and efficient nationwide batch-oriented electronic funds transfer system governed by the NACHA OPERATING RULES which provide for the interbank clearing of electronic payments for participating depository financial institutions. The U.S. Federal Reserve and Electronic Payments Network act as ACH Operators, or central clearing facilities through which financial institutions transmit or receive ACH entries. This is similar to the process company employers use to direct deposit payroll checks, and how some online bill-pay banking systems operate. It is a safe, secure, well-tested and well-proven method of transferring money. What steps are involved in setting up E-Check transfers with my account? Complete and return the E-Check (ACH) Authorization Form. This authorizes us to transfer money at your request between your bank account and your wagering account. For your initial activation, please specify an amount you wish to deposit between $25 and $100 on the form. Is my wagering account ready for E-Checks? Your account is already prepared to activate ACH E-Check transactions. We recommend that you review your personal account information before submitting the E-Check (ACH) Authorization Form. Your most current information in our system will reduce the possibility that your activation will be denied. Please be sure to include a valid email address for your account. What bank account information will I need to set up E-Checks? You will need to have your bank account number and bank routing number, along with paper check showing these numbers sent along with the ACH Authorization Form. How do I add funds to my betting account via E-Checks? Once we've received your completed E-Check (ACH) Authorization Form you can immediately add funds via ACH. Initial ACH deposits are limited to $100.00. After your initial ACH deposit, no additional ACH transactions will be permitted until an administrative review has taken place. The administrative review usually takes 3-5 days to complete. Upon successful review, you will be notified and can request additional deposits by clicking here to email us. We reserve the right to limit deposits based on your account history. You may contact our customer service department at support@OffTrackBetting.com to further discuss these limits. How do I transfer money out of my betting account via E-Check (ACH)? You will have the option to transfer funds to your bank account that you set up through the ACH process. Email us at support@OffTrackBetting.com to submit your desired withdrawal amount. You may withdraw any amount from your wagering account up to your current balance less any pending deposits that not have cleared the administrative review. Is there a delay in transferring funds to or from my account via E-Check (ACH)? Transfers are generated electronically. In most cases you will not see any noticeable delay in the transfer process, however it may up to 5 business days for your deposit request to post to your bank account. At times of peak volume during heavy race schedules there may be a slight delay in the processing of deposit/withdrawal requests. Typical processing time for Withdrawal Requests is 1 business day if your request is received before 2:30pm EST, however your request could take up to 5 business days to complete the banking process and become available funds in your bank account. The ACH transaction on your bank statement should read "OTB 888-314-6888" or "LIEN GAMES RACING". Are there limits on the number of transactions? How about fees? We prefer to not charge any fees for ACH deposits or withdrawals. Our system does not limit the number of transactions, although there is a $25 minimum ACH transaction. Customers that request an excessive amount of transactions (more than 2 per day) will be subject to limitations and/or fees imposed on a case-by-case basis, at management's discretion. Some banks may have monthly transaction limits and may charge an additional service fee. Electronic transfers from savings accounts are limited under federal regulations. Please consult with your bank's customer service representative to find out if they impose any additional fees. How do you verify my information? It is very important that you protect your betting account login and password. Our service is set up to protect your login and all account information on the site. We do this through 256-bit encryption on all pages that contain account information. All customer account information is stored on secure servers, which are not on public networks, and are actively monitored. I have additional questions, or need further help. Who do I contact? Customer support is available via email at support@OffTrackBetting.com. We are happy to assist with any further questions or concerns you may have.